Established and invested by the leading solar energy experts, IREX is making the proud of 100% "Made in Vietnam" solar brand that goes beyond the borders. IREX Energy JSC playing role in solar power sector. 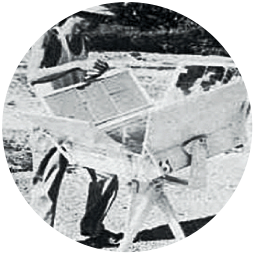 We inherited the foundation from SolarBK and well-equipped with high automation machinery and modern facilities. 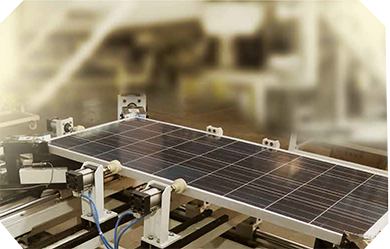 IREX manufactures and provides from single solar cells to full solution. Our market is not only in Asia but also in the U.S, the Netherlands, Turkey, Tunisia and Europe. SolarBK Group was established in 2006, based on the PhDs’s researching experience up to 40 years from HCM University of Technology, is one of the Vietnamese enterprises that specialize in researching and developing the products and solutions using renewable energy. To achieve the greater aspiration on the journey of popularizing renewable energy in daily life, SolarBK Group has established the member companies including IREX, SolarESCO, as well as l SolarBK to follow the concentration and specialization strategy. 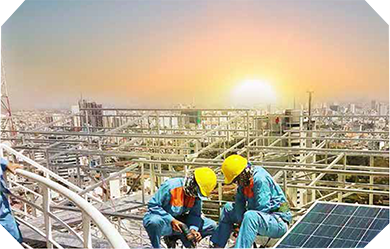 Each member company has a specific mission to build up the strength of SolarBK Group. A group of experts from Thai Nguyen University of Engineering and Hanoi University of Technology started researching on renewable energy lead by Mr. Nguyen Huu Hung. The SolarBK Solar Energy Investment and Development Co., Ltd. – The parent company of IREX Energy Corporation was officially established to release the laboratory products into the market. 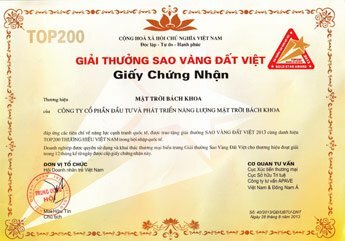 With a wealth of experience demonstrated throught undertaking research of nation-level, city-level and ministerial research on renewable energy equipment as well as receiving a series of excellent awards for impressive results, SolarBK aims to contribute to the development and popularization of green energy in Vietnam. 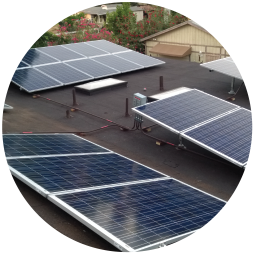 SolarBK implemented the Green Energy project for the entire Truong Sa Islands. This is the first time that solar panels have been brought to the island, meet the electricity demand of island soldiers and residents. 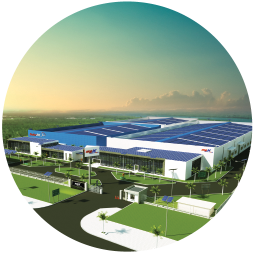 Inherited the foundation from SolarBK – the leading smart renewable energy corporation with 40 years of research & development in renewable energy, IREX Energy Joint Stock Company was officially established with the aim to be the leader in Solar Power Solution in Vietnam. 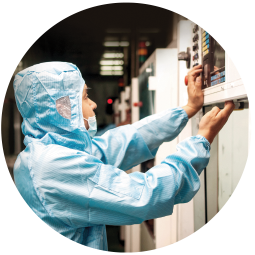 IREX focuses on building production processes and team-training on international standards. 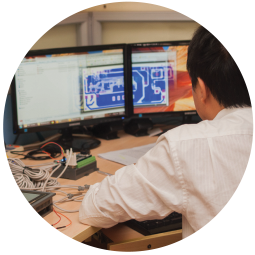 During this time, IREX has achieved certification of IEC 61215: 2005, 61730: 2004 by TUV Reinhland. 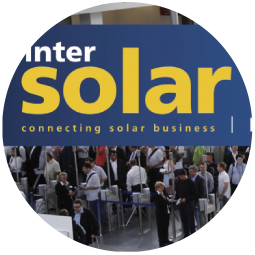 June 2014: Attended InterSolar in Munich, Germany. This is the first time that a Vietnam Solar product manufacturer is proudly presented one of the world’s largest solar energy fairs. Exported the first orders to Europe, Africa, America, Asia. 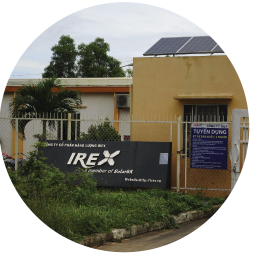 August 2014: IREX moved to Phu My Industrial Park, No 9, Phu My, Ba Ria – Vung Tau. September 2014: IREX achieved UL 1703: 2002 Certificate. June 2015: IREX continued to attend the InterSolar in Munich, Germany the second time. 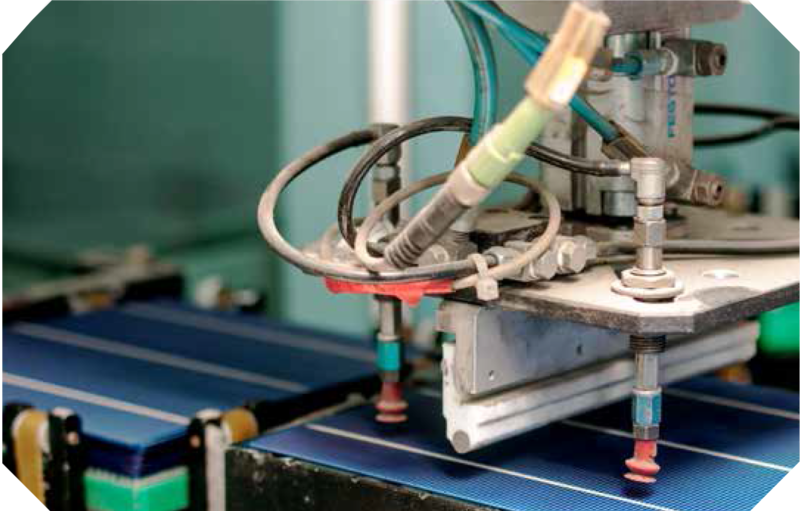 July 2015: IREX built and put into operation the first solar cell manufacturer in Vietnam, started its full initiative in technology, production and quality control of products thoroughly. IREX joined InterSolar in San Francisco, USA IREX USA was established in USA. The company focus on ONE STOP SHOP business model, meanwhile not only supply the solar PV model but also provide full package for PV system solutions in US market. Launching the Cutting-Edge SSOC (Solar System Operation Center), which is researched and developed by R&D engineers. SSOC ™ allows the consumer with 24/24 data about their usage, the operating status and savings on any mobile device of choice. February 2017: IREX expand business by investing the Complex High-tech renewable energy factory in Phu My (Ba Ria – Vung Tau Province). The project consists of two main categories: Green Energy Plant and Research – Development Center of Renewable Energy Products which has capacity of Solar Cell up to 300MW and PV module up to 500MW. The project is divided into 3 implementing phases and the first phase is expected to be completed and come into operation in June 2017. Consistent with the development strategy of SolarBK Group, IREX is undertaking its mission to popularize renewable energy in daily life. IREX has outlined its vision of becoming a Vietnamese leading smart solar solution providing enterprise. Brand Philosophy: SUCCESS comes from ASPIRATION. 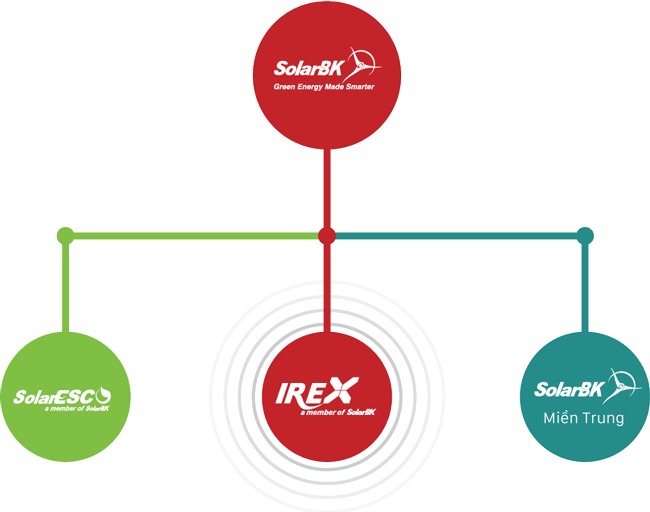 Based on the strength of science and technology combined with research and development passion for solar-powered applications, IREX confirms its brand in domestic and international markets. All of IREX’s activities revolve around 5 core values: Trust, Persistence, Learning, Teamwork and Creativity. These five values are equally important level, linked together to build the IREX’s culture. The first value is TRUST, with the belief that TRUST is the foundation of stable relationships between business partners, customers and IREX, we always aim for being honest and ready to make commitments responsibly. [block_learn_more]The second value is PERSISTENCE. With the foundation for research and development and determining that clean energy is the world’s future energy, we know that persevere companion and sharing of accomplishments with the community is the key to fulfilling our mission. The third value is LEARNING. With the spirit of learning from colleagues, customers, partners, SolarBK – IREX also held regularly training practical programs to maintain and improve the level of the personnel department. The fourth value is TEAMWORK. IREX is unity of people with the same ambitions, aspirations. So, we know that success is always the result of hard working, serious work of the whole team. The last one is CREATIVITY, IREX always has the right investment in the improvement, the technological application in products, solutions and quality management. 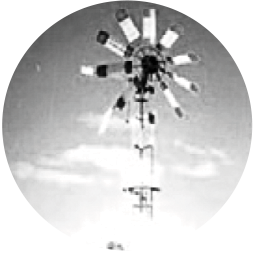 Continuous innovation has helped us to improve our reputation and to confirm our position as the leader in the fields. 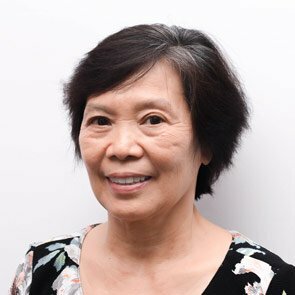 Ms. Duong Thi Thanh Luong has more than 40 years’ experience in renewable energy. She is also one of the leading experts in this field dating back to the ‘70s, ‘80s – when this new energy industry was still an abstract concept in Vietnam. She is now the Chairwoman of SolarBK and Vice-president of IREX. After 7 years studying abroad and graduated from Belarusian State Technological University, Minsk (Former Soviet Union) with an honours degree in mechanical engineering, she came back to Vietnam and quickly pursued her career in renewable energy. In 1989, she and her partners developed Research Center for Thermal Equipment and Renewable Energy at HCMC University of Technology (RECTERE). Afterwards, to popularize her scientific researches in daily life, she and her partners founded SolarBK and brought the educational culture into enterprise environment, as well as making SolarBK become a leading company with R&D as the core of all developments and innovations. 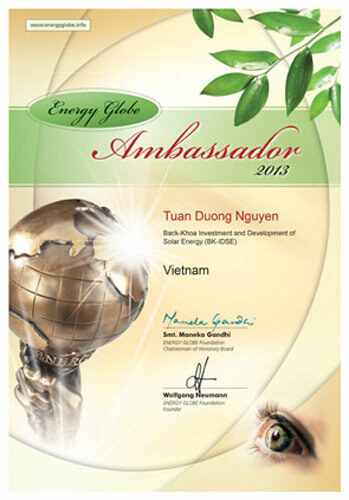 Mr. Nguyen Duong Tuan has more than 15 years’ experience in renewable energy field. He is a board member of SolarBK and the General Director of IREX. He is one of the co-founders, who is committed to IREX right at the very beginning. 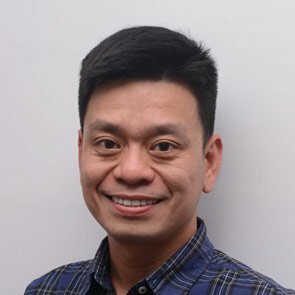 After 10 years studying abroad in Canada, he came back to Vietnam in 2003 with the Masters degree in Electrical and Computer Engineering from Sherbrooke University, Quebec, Cananda. Along with the knowledge learned abroad and the experience in implementing the prior national-scale projects on renewable energy in the Spratly Islands, he has directed and developed a broad vision for SolarBK, making SolarBK become a leading coporation in renewable energy. In 2013, he was selected to be the Energy Globe Ambassador for his positive contribution the renewable energy industry in Vietnam. He also decided to establish IREX, with the intention of turning IREX into an international expert of solar power. Ms. Nguyen Duong Thuy has 8 years’ working experience at SolarBK. She is now the Chief Financial Officer of the company. She has also been a key member committed to IREX from the beginning day. After graduating from University of Hawaii with a Masters degree in business administration, she continued to have significant contribution to the development of the company, especially in the financial investment field. She has been offering expert advices to the board of directors for the better financial management. She is also known by her professional working style, her responsibility for work and her colleagues-friendly attitude. 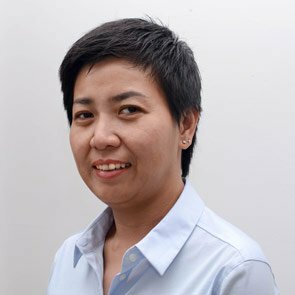 Ms. Sylvie Lam began her the role of Chief Operating Officer of SolarBK since 2015. Currently, she has 8 years’ working experience at the company. As one of the receivers of SHRM-SCP certification issued by USA organization and being a PhD in linguistics, she has been building a well rounded personnel department for SolarBK and IREX. 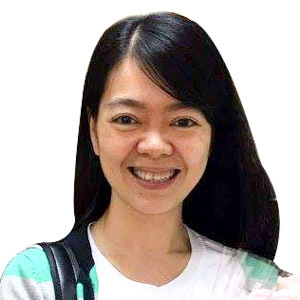 By being fluent in 5 languages: Vietnamese, French, English, Chinese and German; she has been supporting the activities management as well as introducing appropriate policies and developing suitable strategies for the business goals of the company. Ms. Nguyen Ngoc Quynh has been in charge of Marketing and the role as the Chief Business Officer of SolarBK – IREX since February 2015. She is responsible for expanding markets in renewable energy field. 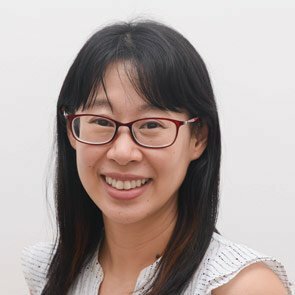 With more than 8 years’ experience as a marketing and sales director, along with the prior management experience in advertising, she has been step by step building a prestigious brand for SolarBK, IREX and the professional sales team in accordance with the development vision of the company. 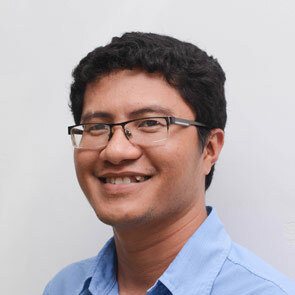 Mr. Mai Van Trung currently is the Director of Market Development. Graduating from HCMC University of Technology with a Masters degree in Electronics Engineering, he was retained to become a lecturer. At the same time, he had in-depth studies about renewable energy in collaboration with the University of Illinois, Urbana Champaign before joining SolarBK. With professional experience and a thorough grounding, he was chosen to carry out the solar power project at Green One UN House in 2014 – playing a part in making SolarBK – IREX’s brand name stand out in the international renewable energy market. During 5 years working at SolarBK – IREX, he contributed numerous valuable solutions and is highly appreciated by customers and partners thanks to his technical skills. 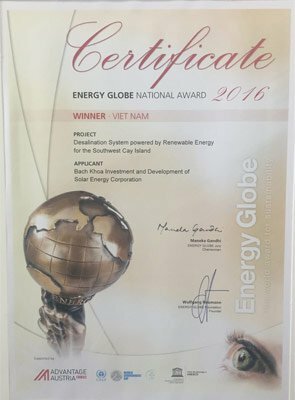 SolarBK – Parent company of IREX won the Energy Globe 2016, National Award Vietnam for its pilot project “Desalination system powered by renewable energy at Southwest Cay Island”. 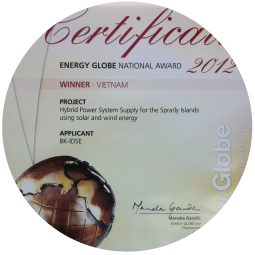 SolarBK – Parent company of IREX is the first Vietnamese organisation to win the Energy Globe Award twice in a row. 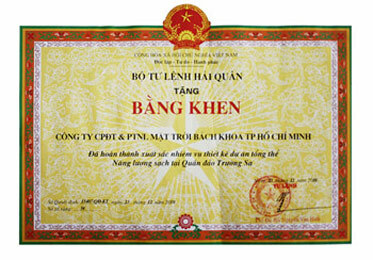 2013, SolarBK – Parent company of IREX won Vietnam Gold Star award and was listed as one of the 100 leading Vietnamese brands. 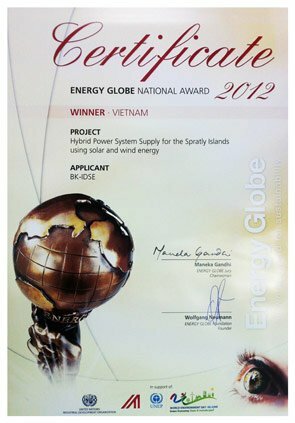 6th May, 2012, the Energy Global Award officially announced our “Light up Spratlys” project has won the award. This is the 3rd time a clean energy projects in Vietnam was the award-winning of Global Energy – one of the most famous and prestigious environmental prizes worldwide. 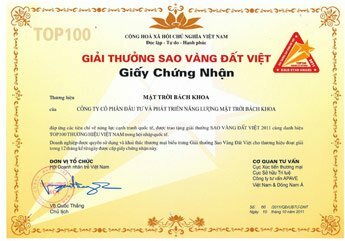 October 2011, SolarBK – Parent company of IREX won Vietnam Gold Star award and was listed as one of the 100 leading Vietnamese brands.